The US Supreme Court has set a new precedent for gamblers across the country and it’s a good news, you are now free to gamble at will in pretty much whatever state you are from. 1992 was a long time ago and for the US to hold such hypocritical views for all this time has been at the very least, mind-boggling and maddening. Sure, the government has made untold billions off the lottery and that was ok, but God forbid anyone should make a sports wager outside the state of Nevada! The State of Nevada has been the one with a chokehold on gamblers across the nation and it’s high time for a change. SCOTUS struck a blow to the deep pockets of billionaire sportsbook owners and times are a changing! The offshore bookmakers have been operating legally for more than 20 years and what they have done is essentially provided a service to American sports gamblers that no state beyond Nevada had the authority to do. The US Government has tried for years to control and mandate what kinds of internet transactions that gamblers and potential gamblers can legally make but to no avail. Does this mean the US has opened the doors to online gaming? Let’s get one thing straight: The doors have never been closed. The Bush administration had the bright idea to try and dictate what could be bought and sold from the US-on an offshore website. Oh for sure, they scared a few people but that’s all it was and exactly what it was; scare tactics. How often have you heard of some guy being prosecuted for betting on baseball from the comfort of his home? Never, it doesn’t happen. 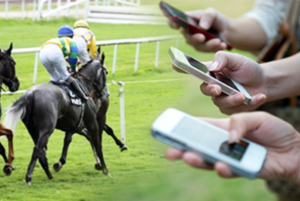 Literally, millions of people use online sports gambling services and have since the early to mid-1990’s. SCOTUS says, ‘don’t legislate morality’. This court ruling while having nothing to do with Bush, it certainly tells the Bush administration and those that supported his ideas about internet gambling, ‘you were wrong and your ideas were archaic’ step aside and let the Constitution of The United States once again reign supreme. The government is angry about internet gambling simply because they can’t micromanage every dollar spent, they have no idea how much is spent annually and it drives them mad that they lose the tax revenue daily. The state of Nevada pays taxes to the federal government in order to allow gambling, and the individual gambling providers (MGM, one example)… they pay taxes to the feds as well and on top of it all, they pay local, city, state and county taxes. The federal government has always been able to keep their head above water when it comes to managing one state and they wanted to keep it that way. Nevada, for sure wanted to keep it that way. Who cares about taxes, when you are the only state in the nation legally authorized to sell the product being taxed? The online gaming industry is set to reap the rewards of this court ruling. 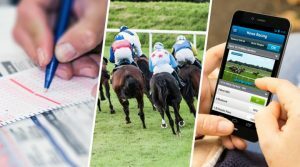 Now more than ever before, sports gamblers will feel free to open and maintain online wagering accounts. Most sports bettors want more than one account and they are bound to open several. Why do they do this? They want better deals, they want to shop around, and they want the biggest bang for their gambling buck. Las Vegas has been dealt a serious blow now that the door is open to competition. Whether or not SCOTUS had this in mind is not the point. The point is, they saw the blatant hypocrisy and the illegality behind Nevada’s monopoly on an industry.